I want to welcome and thank you for visiting our website. My name is Cathy Blanchard. I am the owner and hostess of Cathy’s Lobster Bake. My husband Paul and I were born here in Maine and have stayed to make lobstering our business. Paul hauls 6 days a week to catch some of the freshest lobsters around. We love our great state for many reasons, and one is the great seafood! I am a very social person who loves and enjoys making people happy! “Here to serve you!” It is no wonder why my husband and I came up with the idea of combining our interests and skills together. We created a business where we both could thrive. 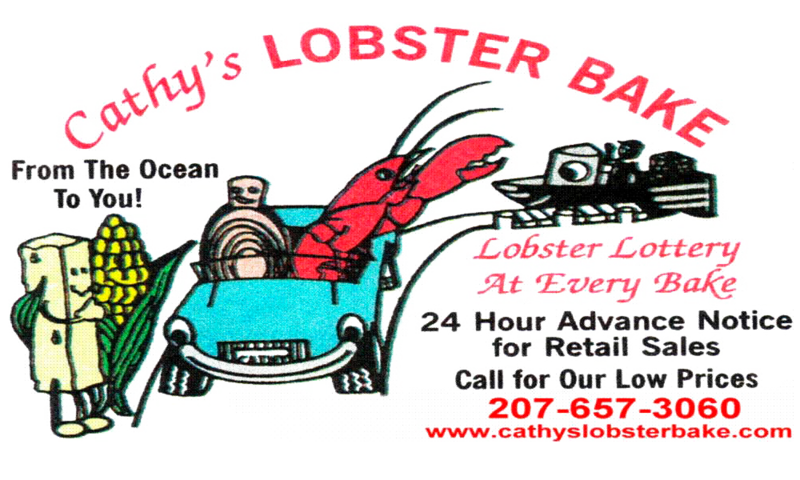 It has been many years now since Cathy’s Lobster Bake has been in business. We have hosted hundreds of lobster bakes. It has been a wonderful success and we have made a numerous amount of friends and customers and have cherished so many precious and fun memories. We look forward to many more! If you are looking for a casual lobster bake for any reason you have come to the right place! We look forward to hearing from you and would love to host a lobster bake for you. We promise that our food will be delicious, and service will be friendly. Please book early as to secure a date for your lobster bake!